There have been debates as to whether or not everyone above the age o 55 should take drugs to lower their blood pressure, regardless their reading. Some doctors are arguing that giving the polypill - a single pill containing blood pressure medication, aspirin and a cholesterol-lowering statin - should be given to cut the risk of heart attacks and strokes. But of course, convincing every 55-year-old to take the pill is not easy. Many of those prescribed tablets for high blood pressure don't take them because they don't feel ell enough and those who are healthy would see no point. And with all good things, there are bad. The side effects of taking blood pressure-reducing tablet comes with a list o side effects which can include tiredness, depression, impotence and vivid nightmares. Also, the worry that one might become over-dependent on pills would lead to neglecting other aspects of health such as diet and exercise. However, the benefit of taking the five common blood pressure tablets - beta blockers, ACE inhibitors, diuretics, calcium channel blocker and angiotensin receptor blockers - is that they are equally effective at cutting the risk of heart disease and stroke, regardless of blood pressure before treatment and existing heart problems. 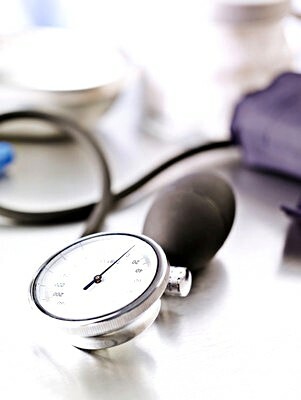 "Our results indicate the importance of lowering blood pressure in everyone over a certain age, rather than measuring it in everyone and treating it in some," Professor Law, of the Wolfson Institute at Barts and the London School of Medicine, said. As they say, prevention is better than cure. However, there are many other ways to prevent high blood pressure rather than downing pills. With healthy eating and regular exercise, you not only curb high blood pressure, but there are many other benefits to reap too.